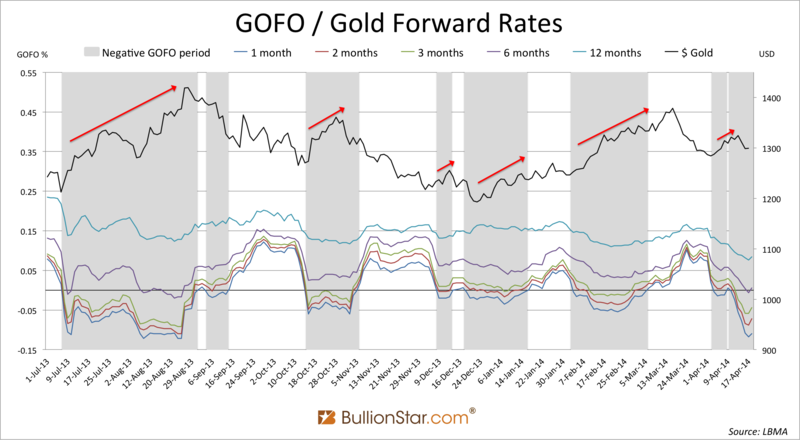 An essay on the relationship between GOFO, gold forwards, the gold lease rate and the US dollar interest rate. In order to continue to reveal essential information about the physical and paper gold markets around the world, first I would like to expand on the inner workings of the gold wholesale market. 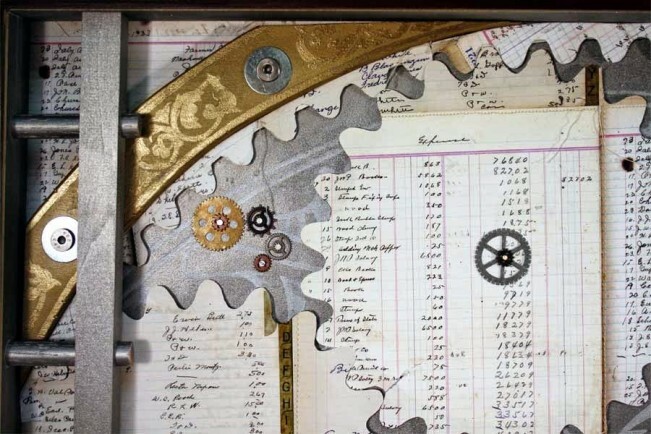 In this post we’ll use the Gold Forward Offered Rates, in short GOFO, as an excuse to illuminate the most vital gears that drive the gold market engine. 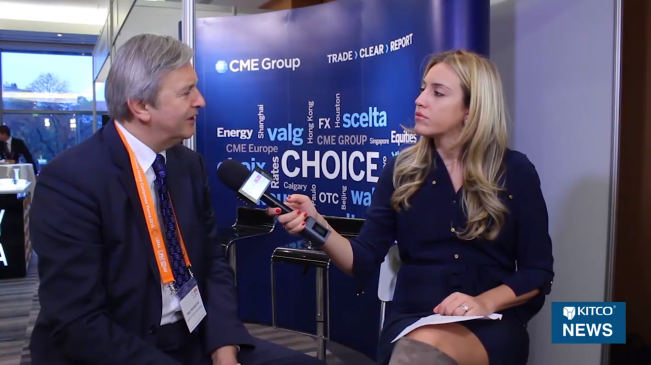 For, if we truly understand GOFO we also understand gold leasing, forwards and swaps, which are the building blocks of the gold wholesale market. Therefor, the goal of this post is to achieve a thorough understanding of GOFO. 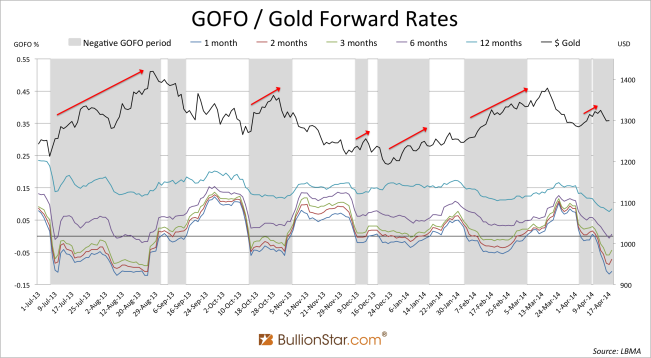 GOFO officially “represents rates at which the market making members will lend gold on swap against US dollars”, but GOFO also resembles the gold forward rate and the difference between the US dollar interest rate and the gold lease rate. The purpose of this post is to explain all this in a simplified way. Let us start discussing gold forward contracts and work our way through this. Please be aware this post requires some studying and is not an easy read. In the gold market there are several possibilities to enter into contracts for buying or selling gold at a future date. These contracts can be used by gold market participants to lock in a future gold price or for speculation. The most common contracts are forwards and futures. On exchanges (organized markets) such as the COMEX gold futures contracts are traded, in the over the counter (OTC) market gold forwards are traded. For this post we’ll mainly focus on forwards. Below is a chart in which I’ve plotted an exemplar gold forward curve based on mid market rates. In addition, I’ve added a table in the chart with the the bid and ask quotes (that set the mid market rates). The bid quotes represent the prices at which market making members are willing to buy gold at a pre-determined date in the future. These are the same prices at which we the market takers are willing to sell gold at a corresponding date in the future. The ask, or offer, quotes represent the prices at which market making members are willing to sell gold at a pre-determined date in the future (market takers buy at these prices). The mid market rate is the mid-point between the bid and ask price. Have a look at the chart and the table. Chart 1. Gold forward curve. The slippage is $0.15. 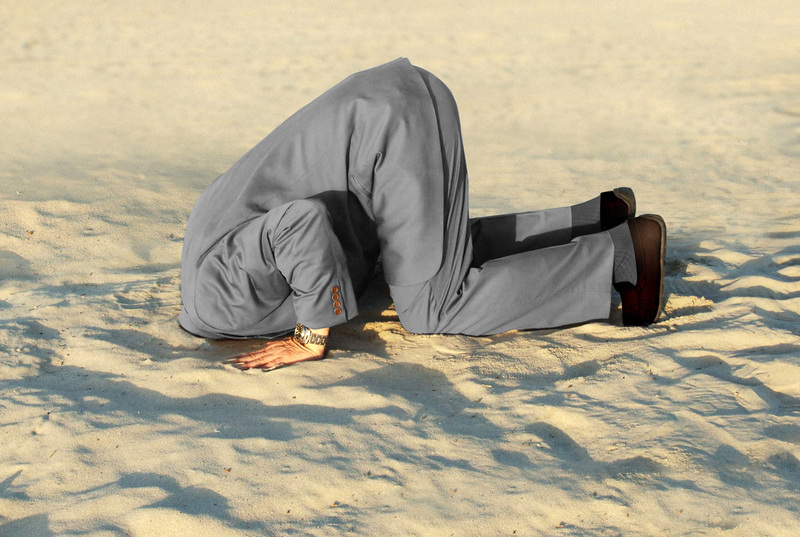 Please note, forward prices reflect what the market expects now about the future based on present circumstances. Forward prices do not determine what the actual spot price in the future will be. We can see the bid-ask spread in this example is a constant $0.3 for every gold forward contract. In reality these spreads can vary and are determined by the liquidity of the forward contract. For liquid contracts, which are traded in high volumes, the spread is thin (meaning the spread between the bid and ask quotes is small). For illiquid contracts the spread is wide. Furthermore, the difference between the mid market rate and the bid (or ask) is called the slippage. Let’s have a look at a simplified example how a gold forward contract can be used. Say, a gold mining company anticipates the gold price will decline in the future. The miner has a steady output of 1,000,000 fine ounces a year and his annual expenses are 1.3 billion dollars, all to be paid at the end of the year. 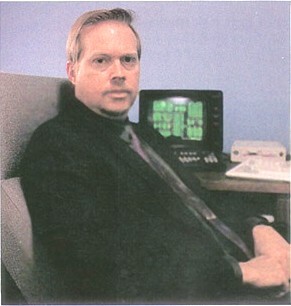 His business is viable starting at a gold price of $1,300 dollars an ounce. To ascertain to stay in business over one year’s time the miner can choose to enter into a 12 months forward contract in order to sell gold for $1,310.74. The seller of a forward contract is said to be short, the buyer of the contract is said to be long. The total amount of shorts and the total amount of longs are always equal with respect to forward and futures contracts. The total amount of outstanding contracts is what is referred to as the open interest. The long, in example, is a jewelry company that in turn seeks to lock in a future price for the well being of his enterprise. Perhaps it makes economic sense for the jeweler to borrow gold for the fabrication of gold ornaments, in the now, a loan he’s required to repay in one year’s time. Not to be exposed to future swings in the gold price he can choose to buy 12 months gold forward, assuring him to be able to repay the gold loan when it comes due. Let us move on to the workings of the gold lending (/lease) market. In a free market any currency can be lent out. Whether it’s the US dollar, euro, Norwegian krone or gold. Interest is paid from the borrower to the lender to stimulate supply, compensate for the risk of defaulting on the loan and postponement of using the currency. 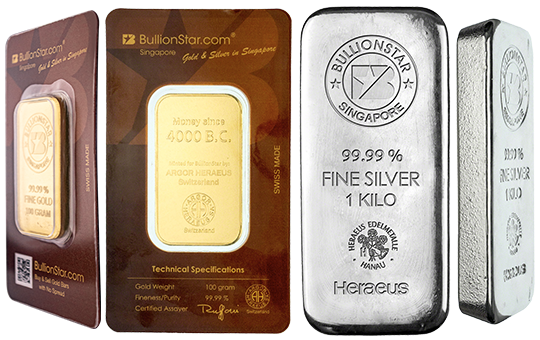 It’s true precious metals safely stored in a vault do not yield, however, when metal is lent out it will accrue interest. Gold lending in the gold wholesale market is referred to as gold leasing, and the acronym for the gold lease rate is GLR. Market convention is for the interest payable on loans of precious metals to be calculated in terms of ounces of metal. These ounces are then generally converted to US dollars, based upon a US dollar price for the metal agreed at the inception of the lease transaction. 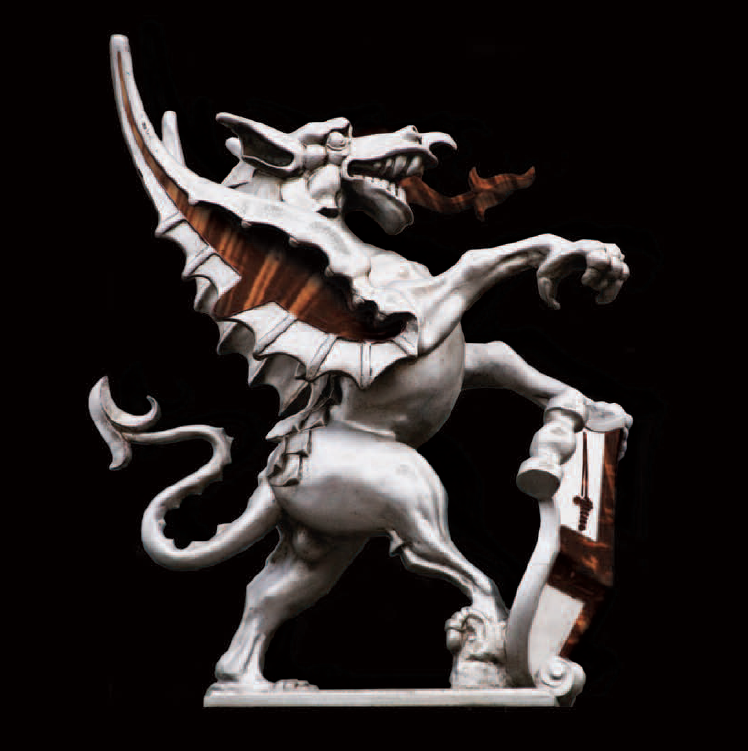 In the past decades the most prominent gold lenders have been central banks. 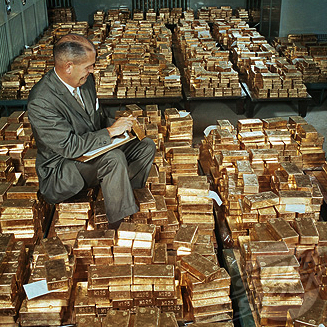 During perceived economic stability it was thought to be safe for central banks to lend large portions of their official gold reserves. Though, in recent years these leases have been unwound to a great extent. A borrower in the gold market can be, in example, the jewelry company mentioned in the previous chapter. In need of funds for production goods the jeweler can borrow dollars at ie 6 % from a bank, or he could directly borrow gold at ie 2 %. Historically, the normal state of the gold market offered a lower GLR than US dollar interest rate. Below is a chart with an exemplar gold lease curve – showing the mid market GLR for several tenors. 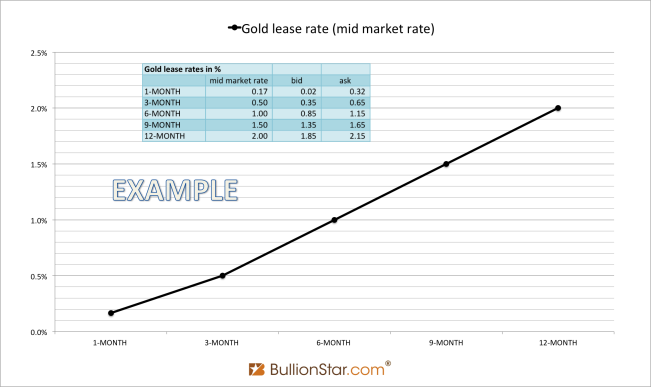 The gold lease bid is the interest rate market making members are willing to pay for borrowing gold (and the rate market takers are willing to receive for lending gold), the gold lease ask is the interest rate market making members want for lending gold (and we the market takers are willing to pay for borrowing gold). Chart 2. Gold lease rate curve. Usually interest rates in financial markets are calculated on a 360 days a year basis. Let us move on to combine currency lending, spot and forward markets, and come to grips with how these are interrelated and how the wholesale market in general functions. 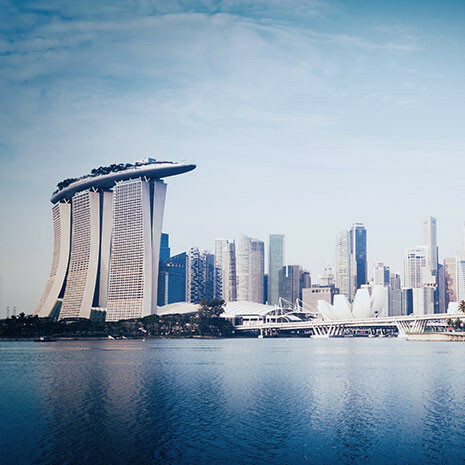 Free markets that cater liquid venues for lending currencies, spot exchange and trading in forward contracts give rise to a concept called interest rate parity. This concept can be tough to get your head around, therefor I will describe it first and then show the math to clarify it. Let us start at the base: the interest rate of any currency affects the forward value of this currency, because loans based on the interest rate grow into more supply of the currency over time. In example, a $5,000 US dollar loan at a 6 % US dollar interest rate grows into $5,300 in 1 year. The theory of interest rate parity suggests that the interest rates of two currencies determine the forward relationship between the values of these two currencies (/the forward price of either currency denominated in the other). As, both interest rates generate a return in the future, the volumes of which determine the forward price. With respect to gold, interest rate parity suggests the forward gold price is firmly correlated to the gold lease rate and US dollars interest rate. Remarkably, as we know the spot gold price and the volumes the loans grow into, we can compute the 6 months forward gold price: the gold lend by the trader will grow into 1.01 ounces over a 6 months time horizon and his dollar loan will grow into $1,236 over the same period, so consequently the 6 months forward gold price is $1,223.76. As mentioned above, “both interest rates generate a return in the future, the volumes of which determine the forward price”. We can see the forward gold price is higher than the spot gold price because the GLR is lower than the US dollar interest rate. The market will set the 6 months forward gold price at $1,223.76, because any undervalued or overvalued forward gold price (bellow or above $1,223.76) would immediately be arbitraged (interest rate parity is said to be “a no-arbitrage condition”). The arbitrage opportunity will be taken advantage of until it’s closed, at that point in time the 6 months forward gold price is $1,223.76. For more clarity I should add that the closing of the arbitrage opportunity happens in the now, not in 6 months time. 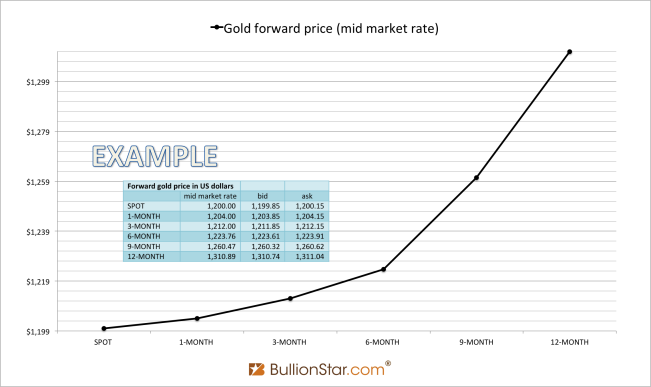 In addition, when the arbitragers step in the forward gold price could be pushed up from $1,220 to $1,223.76, as we’ve seen in the example trade, though in reality the other variables, such as the spot gold price or the GLR, can give way as well until interest rate parity has manifested. Interest rate parity suggests the spot, lending and forward markets are strongly linked. If one market is moving the others will move accordingly. In reality everything is more complicated than in our exemplar market because of additional costs involved such as collateral/margin requirements and transaction/shipping/insurance costs (and because interest rate parity is just a theory, which does not always hold). The forward price of gold – the price agreed now for gold to be purchased or sold at some time in the future – is a function of the gold spot price, and the interest rates representing alternative uses of resources over the forward time period. Gold forward rates are sometimes referred to as “GOFO” rates, because GOFO was the Reuters page that showed gold forward rates. Although this is not the official definition of GOFO, it is true that GOFO resembles the forward rate. I say ‘resembles’ and not ‘equals’, because there is a tiny difference we will discuss in the final chapter about GOFO. Finally, we have explained two descriptions of GOFO mentioned in the introduction of this post. 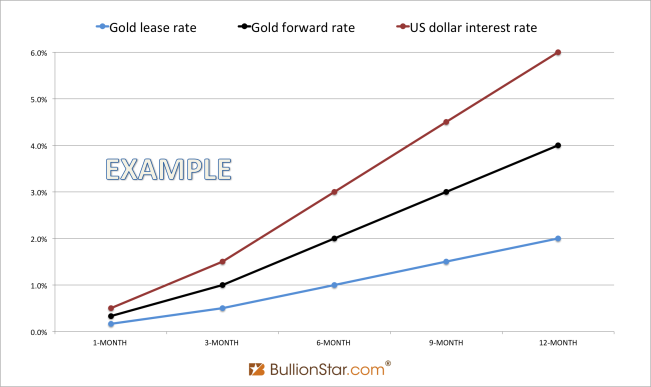 Namely, GOFO resembles the gold forward rate and the difference between the US dollar interest rate and the gold lease rate. The official and exact definition of GOFO we’ll save for last. Chart 3. A positive gold forward rate is called contango. When the forward rate is negative this is called backwardation. 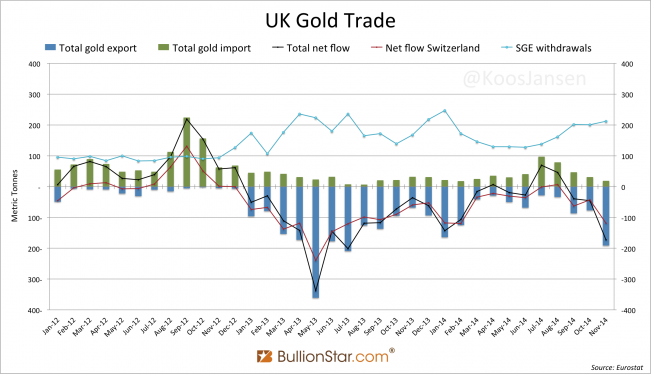 A negative forward rate implies gold for immediate delivery is trading at a premium to gold for future delivery. This can be caused by tightness in supply now or by market expectations the price will fall in he future. Backwardation is the opposite of contango, a positive forward rate. Historically contango has been the normal state of the gold market whereby the GLR is lower than the US dollar interest rate. 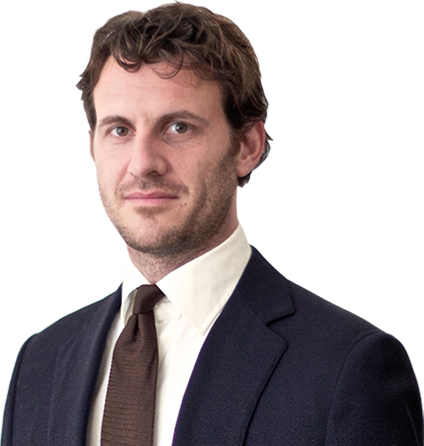 GOFO … was discontinued with effect from 30 January, 2015, following discussions between the LBMA and the contributors to the dataset, the LBMA Forward Market Makers. In the chart below we can see GOFO went negative repeatedly in 2013 and 2014. The cause was presumably tightness in spot gold supply, as every time GOFO went sub-zero the spot gold price was pushed up. Chart 4. 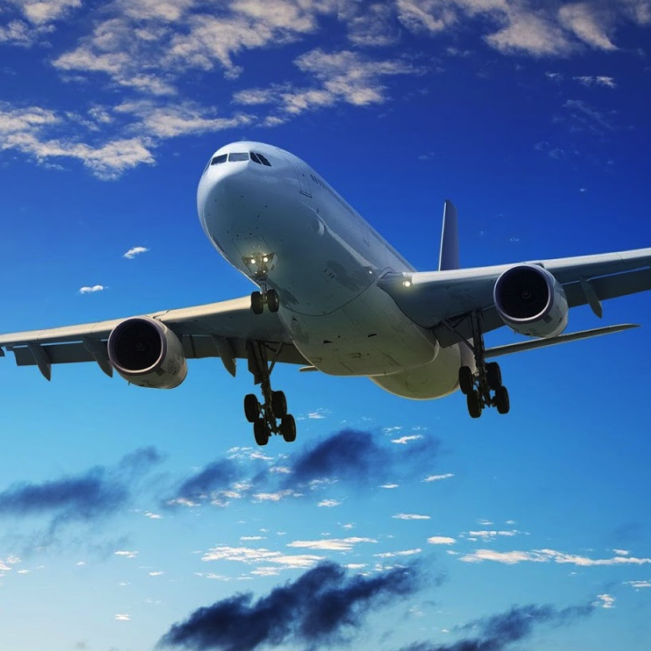 The 1, 2, 3, 6 and 12 months GOFO rates from July 2013 until April 2014. The proceeds of the gold forward are $1,300. Total expenses of the dollar loan ($1,236) and storage costs ($5) are $1,241, which leaves a profit of $59. The difference in profit ($76 – $59 = $17) is of course equal to the storage costs plus the dollar return on the gold loan ($5 + $12 = $17). More on the pricing of commodity forward/futures contracts and the interaction between the theory of interest rate parity and the theory of storage will be discussed in a forthcoming post. GOFO represents rates at which the market making members will lend gold on swap against US dollars. In parlance of the precious metals markets the word swap usually refers to a forward swap, whereby gold is sold spot and bought forward, or bought spot and sold forward. Essentially this is what GOFO is all about, a forward swap. The swap always has two legs, namely a spot and a forward leg. Consequently, the swap rate equals the forward rate. When market makers are willing to “lend gold on swap against US dollars” in the official definition of GOFO, they’re willing to execute a forward swap by selling gold spot and buying gold forward. The word “lend” in the official definition can be slightly deceiving, as strictly speaking there is no lending, the swap simulates lending: a gold loan to the market taker collateralized with dollars. When a swap is executed and the market maker (dealer) sells spot gold to the market taker (client) and simultaneously signs a forward contract to buy it back in due time, the client buys that spot gold with dollars (collateral) and is obligated to return the metal through the forward contract at a fixed price. From the client’s perspective the process can be viewed as borrowing gold (collateralized with dollars), from the dealer’s perspective the process can be viewed as lending gold (on swap against dollars). In the official definition of GOFO the dealer is the lender of gold but naturally he offers the reverse swap as well, whereby the dealer is the borrower. Let’s have a look at an example trade in which the dealer borrows gold: a central bank owns gold that it wants to put up as collateral for a 1 year dollar loan. The central bank and its dealer agree on a swap transaction. 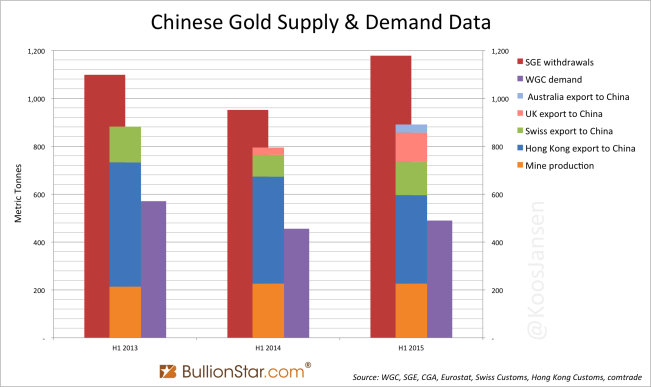 Based on the data from our exemplar environment the central bank will sell gold on spot to the dealer at $1,200 an ounce and then buy back the metal in 1 year’s time at $1,248 an ounce. Essentially, the central bank has borrowed dollars for 1 year at 4 % instead of 6 % because it has collateralized the loan with gold (/lend its gold simultaneously at 2 %). Again, the swap rate is the difference between the US dollar interest rate and the GLR. The formulas are to a great extent similar. Though, the NIPS code uses LIBOR as the US dollar interest rate, which it corrects downwards by 0.0625 % because LIBOR is an offer rate – LIBID is its related bid. To compute the mid market US dollar interest rate the slippage, in this case 0.0625 %, is subtracted from LIBOR. In turn, GOFO is increased by 0.125 % because a “lend gold on swap against dollars” deal from a market maker’s perspective is based on the mid market spot leg, while the forward leg is the bid (in the official definition of GOFO the market maker buys forward, so the forward leg is the bid). To calculate the mid market forward leg GOFO must be increased by the slippage, which according to the NIPS code is 0.125 %. In the Nips code formula LIBOR is adjusted to come to the mid-market US dollar interest rate and GOFO is adjusted to come to the mid-market swap rate, in order to compute the mid-market GLR. Hopefully by now you can see how understanding GOFO helps understanding the essential workings of the gold wholesale market – which is very valuable for understanding gold in general.